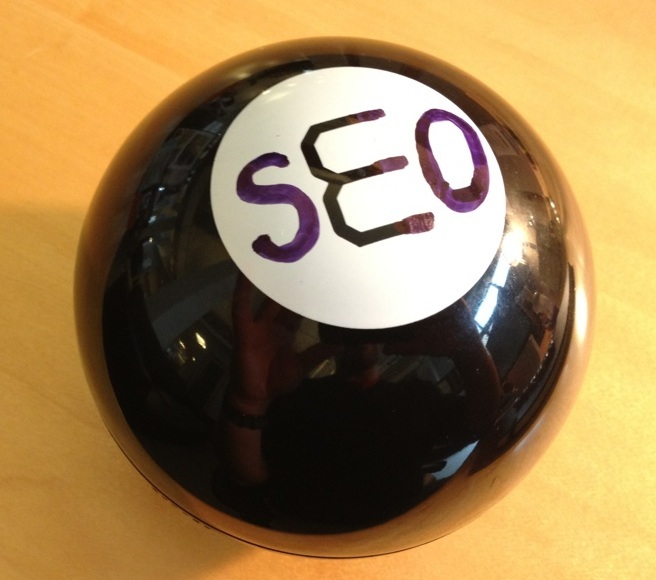 The Magic SEO Ball is a spherical black object that gives answers to SEO questions. Magically. More honest and more thorough than even Matt Cutts himself. It is operated and interpreted by Natan Gesher. Any similarity between the Magic SEO Ball and a popular novelty toy is entirely coincidental.